Flaunt your beautiful curves with this flared dress from Libas. Fashioned using rayon fabric, this flared dress will not fail to catch your fancy at a single glance. 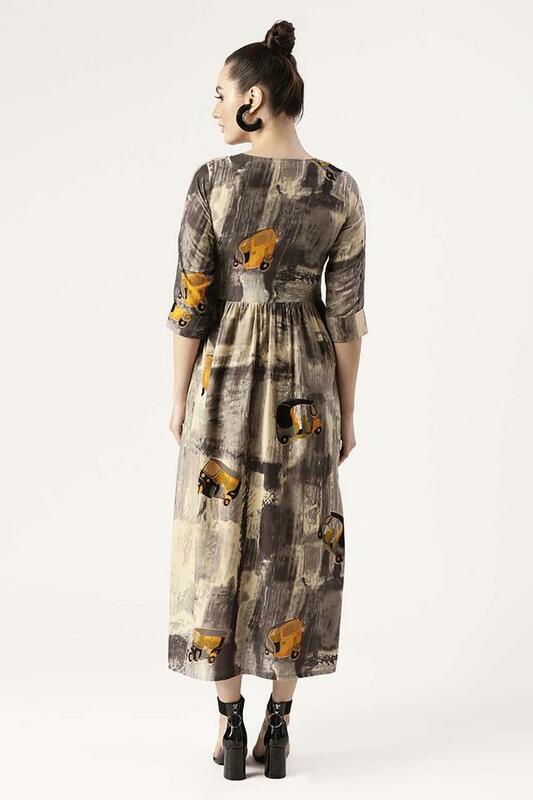 Featuring a key hole neck, three quarter sleeves and graphic print pattern, this dress boasts of dapper fascination. Get the perfect finish to your laid-back looks with this flared dress. Team this dress with a pair of heels for a stylish look.